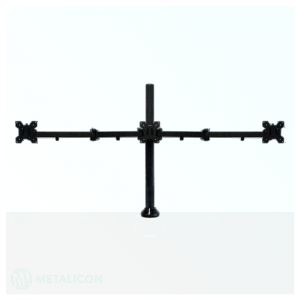 We have gas-sprung mounts for single and dual monitor setups. 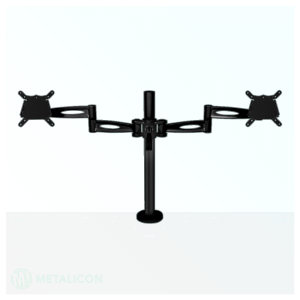 Adjust your monitor any way you like with ease thanks to the gas-powered assistance and sturdy metal frame. 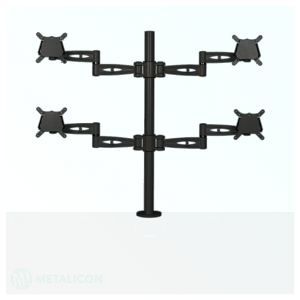 Our pole are mount range can cope with up to 6 monitors at once and allows great flexibility where you need it. Each arm can has multiple joints and screens can be rotated individually. 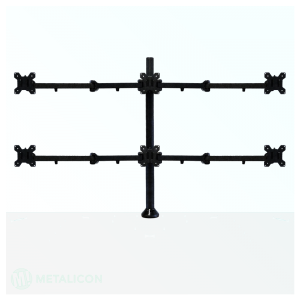 Mount your monitors any way you want with our pole arm and gas-sprung monitor mounts. Whether you have just one monitor or need a solution for 6, we’ve got an option for you!